When Peele released Get Out to rave reviews back in 2017, it straddled multiple genres with horror, comedy, drama and even a touch of documentary, all with a political overtone and some social commentary, it was a masterstroke made all the better by it being his directorial debut and his choice to focus on black Americans underrepresentation in the horror genre. So when it was announced that he would be following this up with another horror film I was excited. Not long since the death of her mother, Adelaide (Nyong’o) along with her husband Gabe (Duke) and two children head to the families beach house for a summer break, unfortunately for them the holiday has to be cut short when following a day at the beach a strange group of people who look exactly the family appears on the driveway and starts to wreak havoc on the lives. Unlike his first film Peele stated that Us was going to be pretty much a straight-up horror film and from the very first scene in the film you can tell that it’s not going to be one that’s filled with cliché jump scares, instead Peele has gone down the route of making a film that likes to builds up the tension, not only this but one containing the perfect amount character development, comedic relief and just enough realism. Another of the films strengths is the strong acting throughout, especially from Nyong’o, whose challenged with pushing the film along whilst the rest of the family are given less screen time and although they play their parts well they are pretty much supporting roles, this however doesn’t prevent you from actually caring about that happens to them. Something else that made Us such an enjoyable film to watch is the interesting lore that was created, one that although contains a few plot holes, I wouldn’t mind seeing it further expanded upon in more films, giving us some back story on just how these situations came to pass and what happened next. This isn’t to say that the film didn’t have a few issues, firstly was that although it was a well made horror and showed some scary situations filled with tension, it never felt particularly scary, this might well be because some of the scenes with the attackers came across as funny rather than menacing, proven by causing laughter in the screening I happened to be in and sapped the fear away. Another of the problems I feel caused the film to suffer is just how obvious some of the twists are, the main one I had guessed within the first ten minutes and thus caused the big reveal to feel like a bit of a let down, not only this but it caused more plot holes to appear, in turn taking me out of the movie while I try to think of possible ways of what was being shown could never of worked. 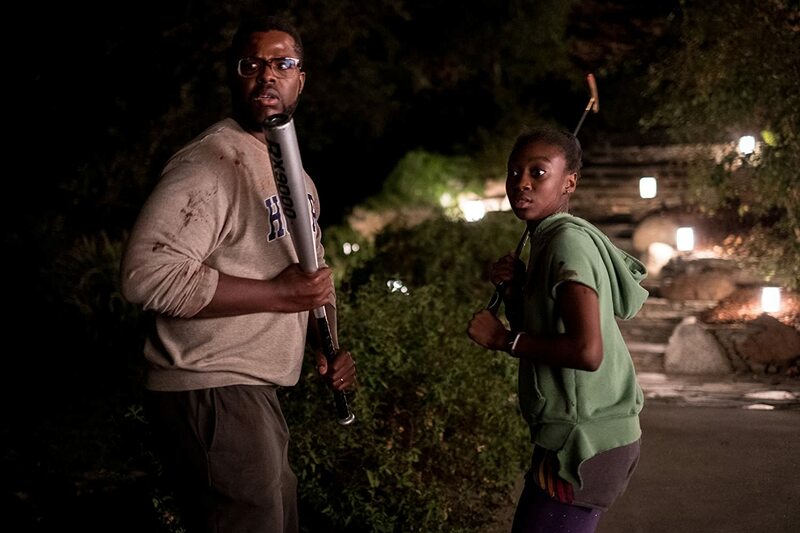 Overall Us is a well produced and compelling story that although not that scary has struck a chord with audiences as seen by its impressive takings at the box office, further proving once again that films focusing on a black cast can be a success and that Jordan Peele has an eye for an entertaining story. I for one will be excited to see what he comes up with next.